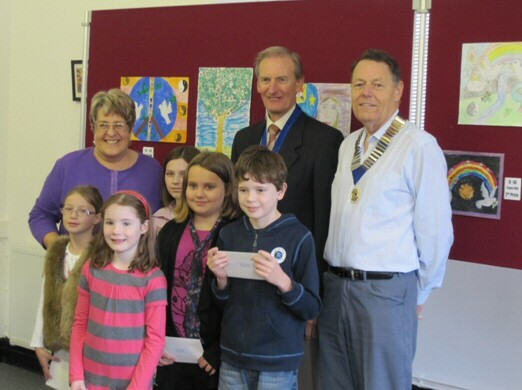 A record of more than 200 entries was achieved for this year’s Alton Lions Peace Poster competition and Alton Lion President Graham Dix congratulated all entrants on the imagination and artistic quality of the submissions. The Lions Peace Poster international competition is deigned as an opportunity to encourage young people in local communities to think about the importance of world peace, tolerance and international understanding. Lions clubs around the world sponsor the contest in local schools and youth groups and achieve more than 350,000 participants worldwide. Winners receive a cash prize, the national winner also wins a special Lions Day visit to Parliament and the international winner receives a trip to a special award ceremony at Lions Day with the United Nations. During the ceremony, the winning artist receives an engraved plaque and a prize of US$5,000. Twenty-four international finalists are also selected to receive a prize of US$500. Entries were submitted from Anstey Junior, Medstead Primary, Chawton Primary and St Lawrence Primary Schools and there were first second and third prizes in categories of 7 – 8 years, 9 – 10 years and 11- 13 years. The competition judges were Alan Thomas, Head of Arts Faculty, Alton College, Pam Jones, artist and former Children’s Exhibition organiser for Alton Art Society and Cllr. David Willoughby, Alton Town Mayor. 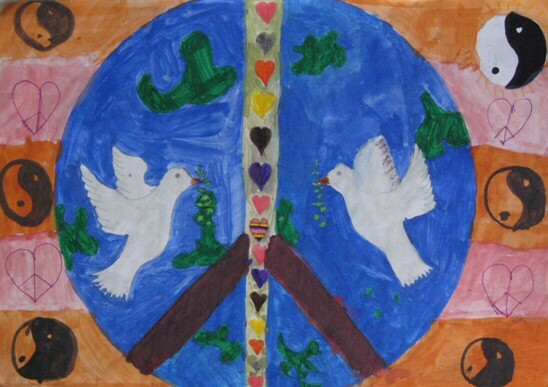 The theme for the 2010 competition was, ‘The Vision of Peace’ which gave entrants a wide choice of interpretation and many children came up with some creative ways to use a selection of peace symbols. The judges were pleased to see that the children had ventured into other media but all judges agreed that the use of paint required a great deal more skill than pens and pencils. This was taken into account when judging all the posters. The judges gave a ‘well done’ to all the children for their entries and hope that they had enjoyed creating the posters as much as the judges had enjoyed scoring them. When choosing the winning entries three things were looked for expression of the theme ‘The Vision of Peace’; originality and creativity; and artistic merit and skill. 11 – 13 years: 1st Prize – Chloe Guare, Anstey Junior School, 2nd Prize – Phoebe Gardner, Anstey Junior School, 3rd Prize – Jordan Ayres-Davies, Anstey Junior School. 11 – 13 years1st Prizewinner – Chloe Guare’s entry, which will be forwarded to the district stage of the national competition.